Welcome to the Screenie Page!! Overall, I get to be silly here, so let me have my moments shh. I pretty much intentionally let loose with punctuation and such I mean just look at this run-on sentence flow like a river steady as the beating drum. It's how I tend to speak so that's kinda how I intend you to read my little commentary but if it bothers you then you can just ignore it because the text is small anyways. Also, I tend to be a jive turkey so I AM SORRY IN ADVANCE. :'( Watch me eat up my bandwidth trying to update this site regularly, haha. Navigation is at the top of the page! Just click the button to go to the section you want to start at. Wow what a crazy amount like dang. I probably sound sarcastic here but I really meant it lol. 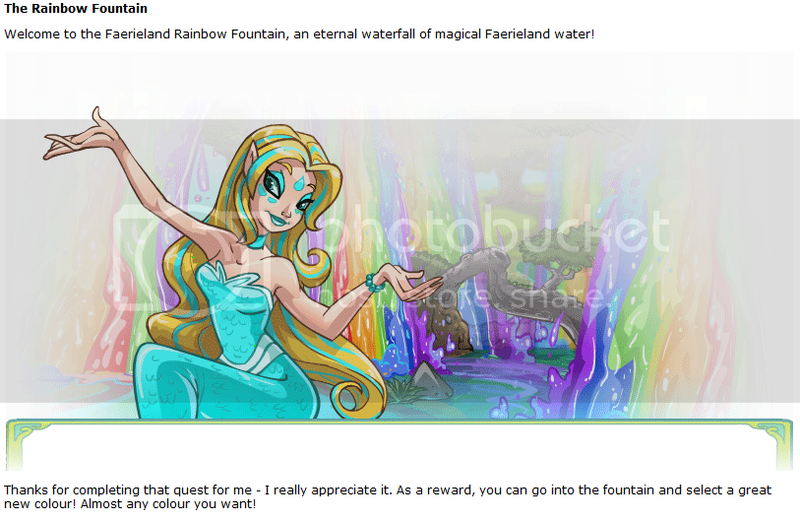 Yay, the Tooth Faerie is so pretty gosh. I like getting Neopoints okay; I cap those accomplishments. 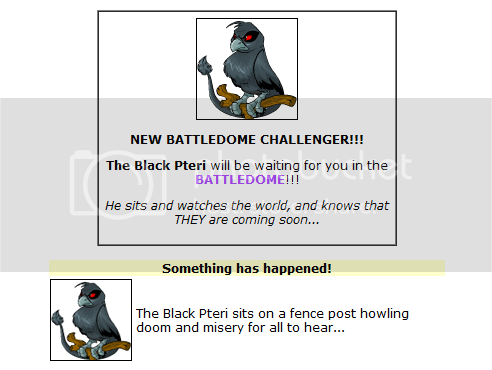 I think I get this Pteri a copy of "No Need to Be Rood". This appeared at the top of my Shop Stock page lol. 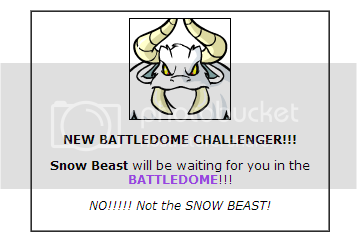 You'd think since they're ICY SKELETONS they'd rob me blind or tear my leg off but no they take my lunch money why does Neopets have so many petty bullies running around. I was proud here as well. 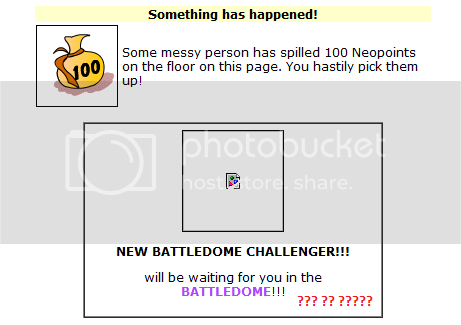 Yeah, this is one of those weird events; I was playing Dice-a-Roo and then I got 100NP and a broken BD challenger (ADVISOR BROO?!?!?) and I think I lost all at the same time. It was a crazy day for that page. 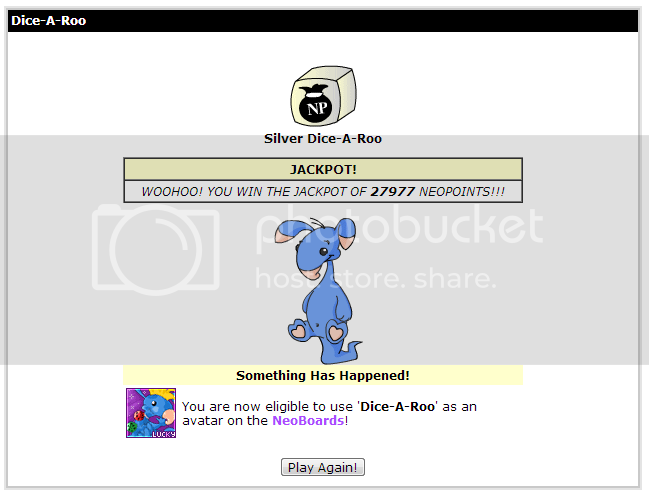 I think this is one of the highest amounts I've gotten from this precious babbu. :( Still makes my heart ache seeing him. My pets keep losing their teeth sob. And now I play Smug Bug Smite every single day. Screenies that involve various items. 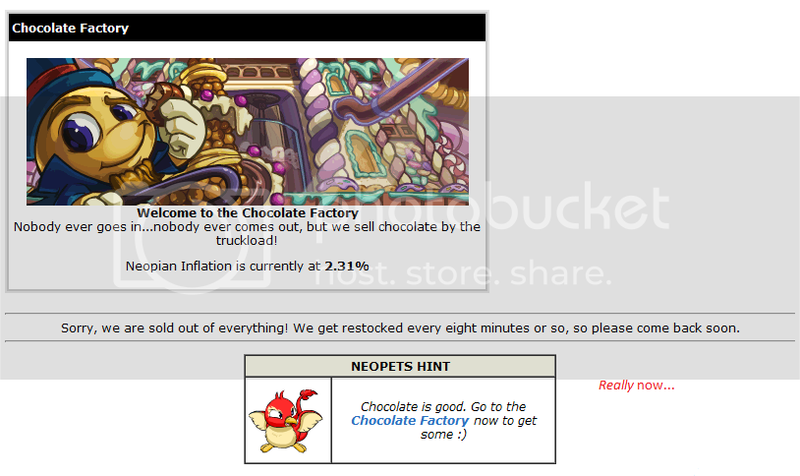 And well you know how Neopets is with items, the foundation of literally every single transaction here. 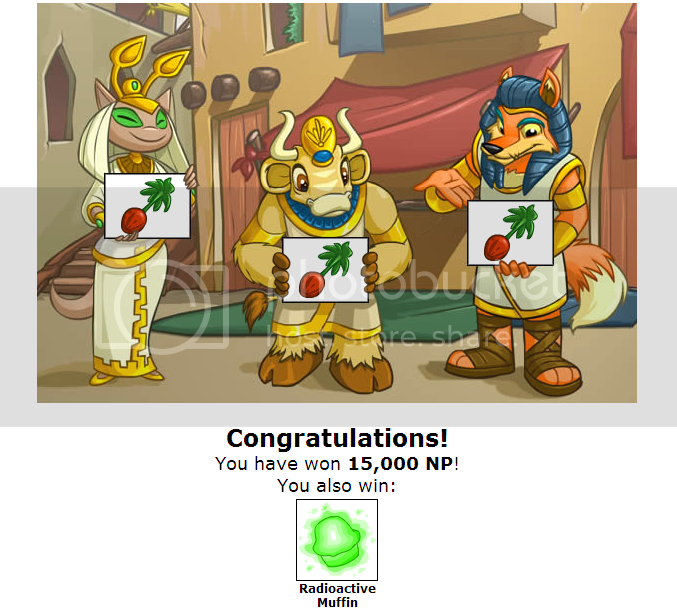 I want to collect all the pieces without spending any NP. Can it be done?!? I am happy that I got this theme for the first time haha. 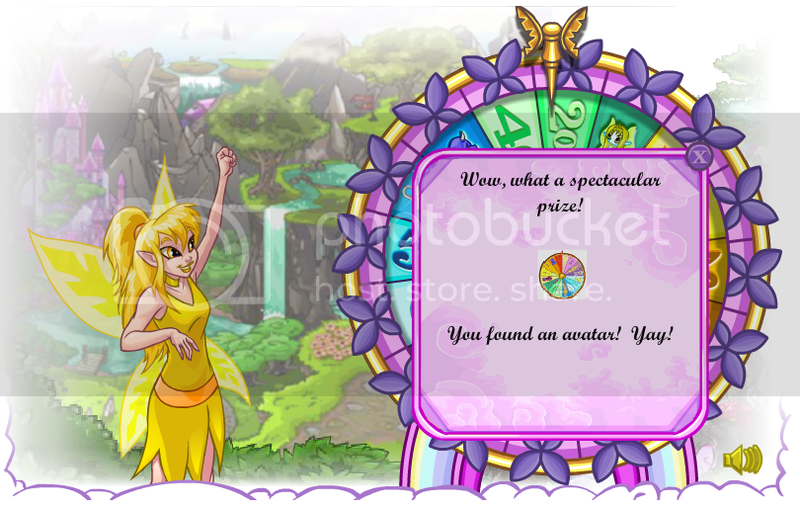 I WAS REALLY HAPPY; THIS WAS JUST WHAT I WANTED FROM THE WONDERCLAW! I love the forest machine. 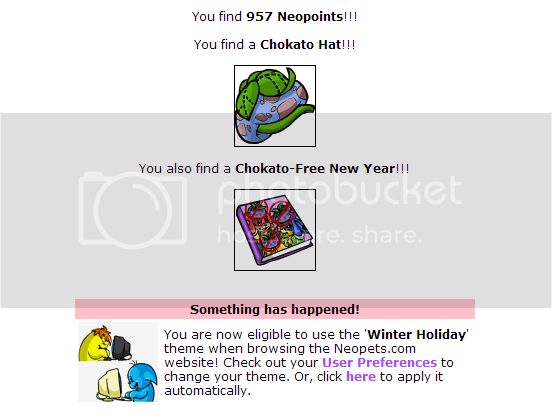 A part of me wants to hoard every single Nerkmid I get and just use them all on my birthday or something. Code...stones?!? 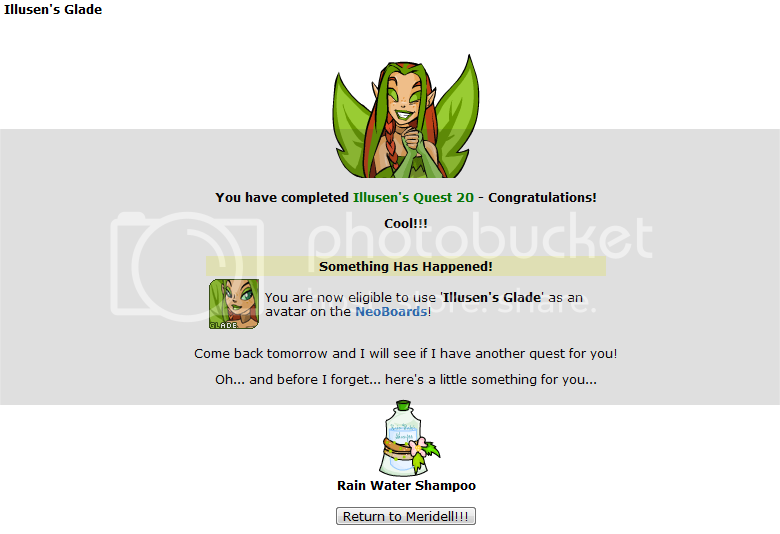 I like getting these random events a lot haha. Poor fire faerie. :'( I think I like fire faeries the most tbh. I'm only a casual BDer so I really like the new BD. Dang, I could go for that. NERKMIDS...! I gave it to my cousin though lol. 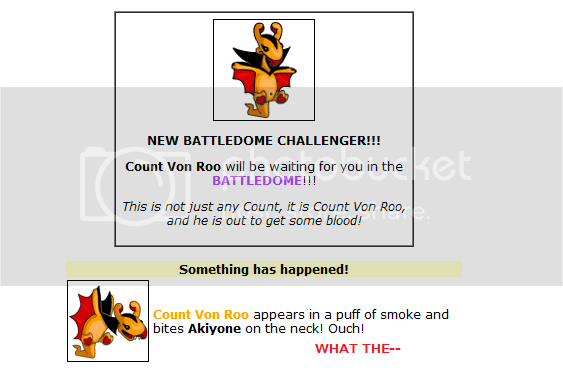 This was on someone's pet description lol. 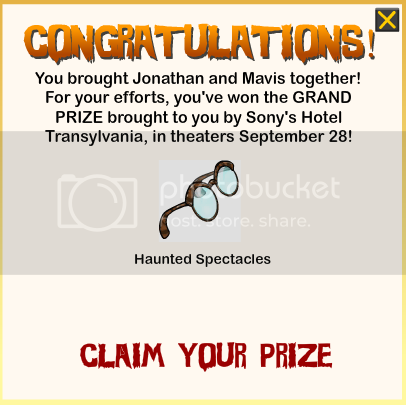 CRIES I WAS SO HAPPY FOR THIS...! I sold it for 800k. That's an ugly hat though lol. Not sure why I screened this; maybe because it was on a side account?? 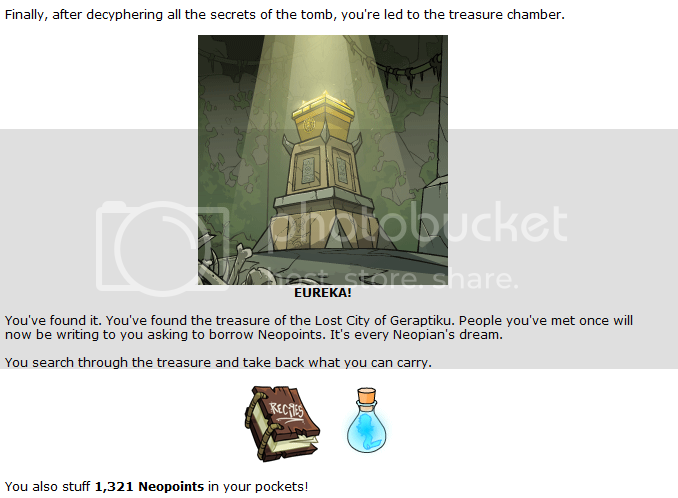 I like to hoard codestones for training when I find them ahaha. OH, LOOK, HERE, I'M REALLY HAPPY ABOUT THIS TRADE. 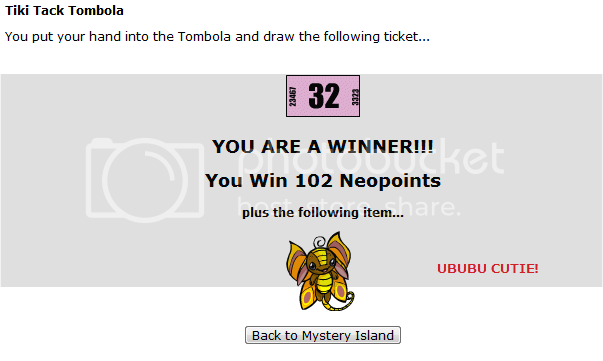 I felt very lucky haha. 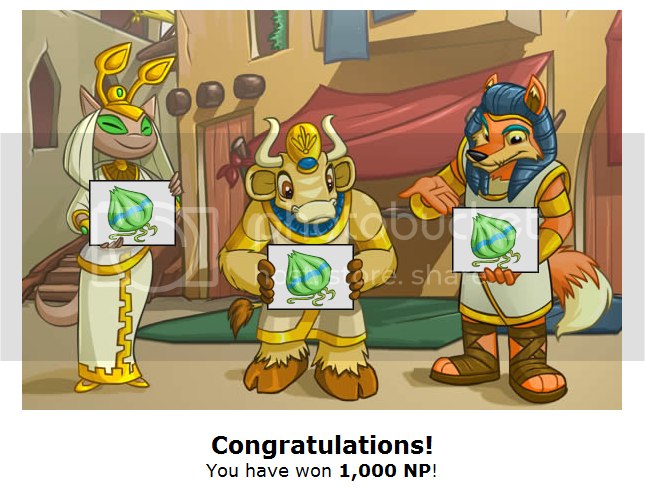 I love the Neovian Wonderclaw machine. Chrys is a wonderful person for lending me these, omg. I will own these weapons one day, but for now my dinky BD set gets me by. Haha, I keep finding codestones why. 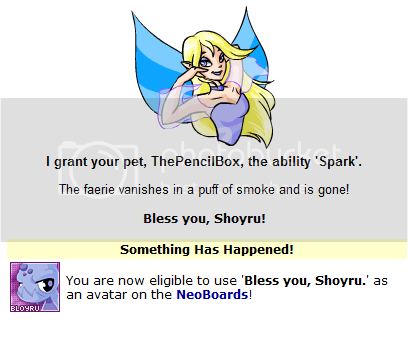 YOU DON'T UNDERSTAND THIS WAS LIKE A CHILDHOOD DREAM OF MINE TO OWN A FAERIE PET OMG. Either way it's due to her generosity and I'm very grateful for it. 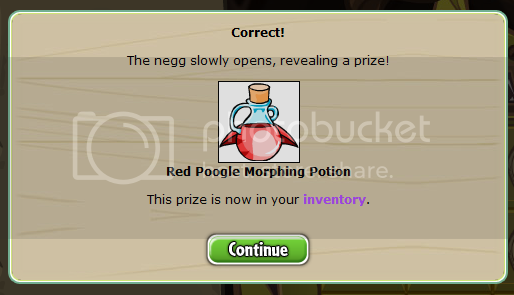 I found this once I went to market search my Red Poogle Morphing Potion. 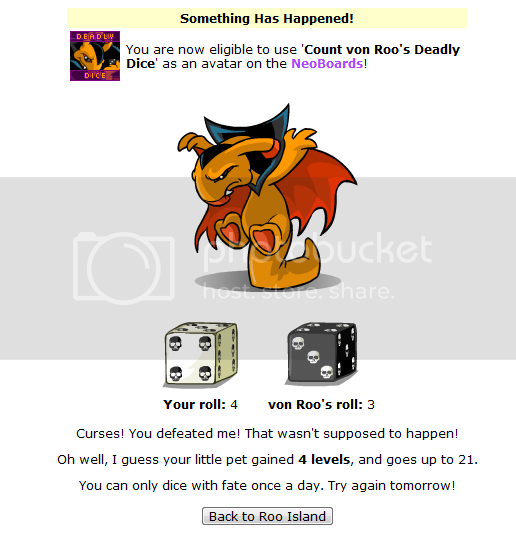 THIS WAS A DIFFERENT LU CODESTONE I FOUND ON DICE A ROO WOW. Woo yeah~ I had to fight my hoarding instincts in order to sell this thing because I mean the price keeps dropping the more these come out. 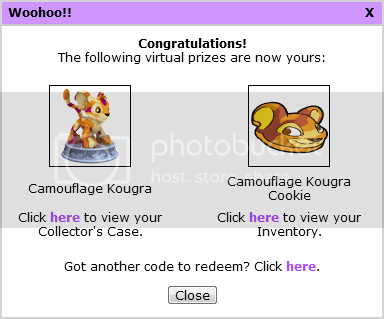 I got a Camo Kougra irl just so that I could get this token and item sob. 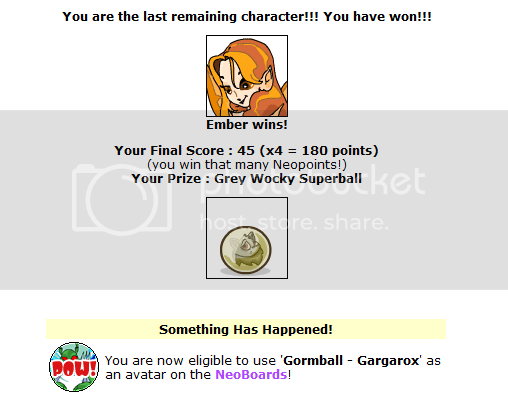 IT TOOK ME SEVEN CAPSULES TO GET A PAIR OF THESE WHAT THE HECK. I FOUND IT ON MY LOOKUP AHHH. 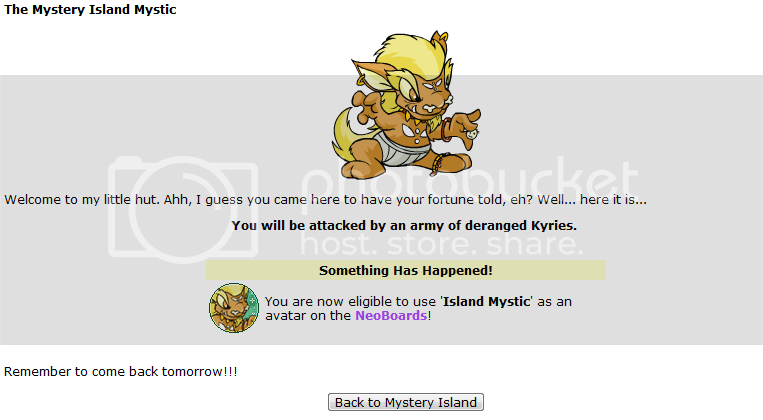 Mystery Island, r u tryin' to tell me sumthin'. I will find a good pet to attach this little cutie to. 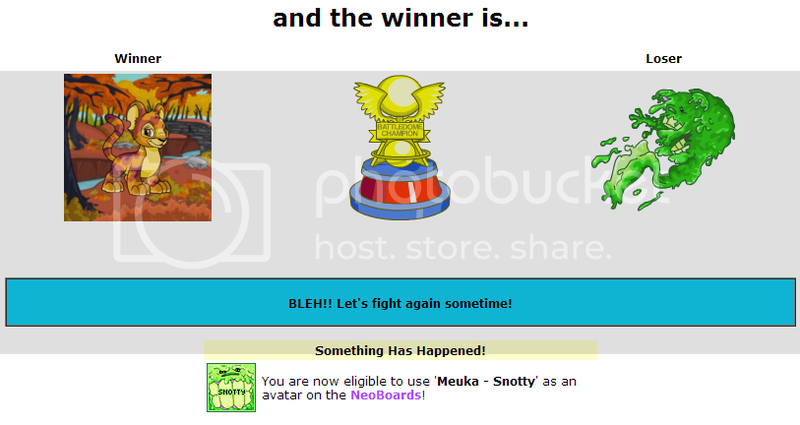 Probably my Xweetok or some other pet. 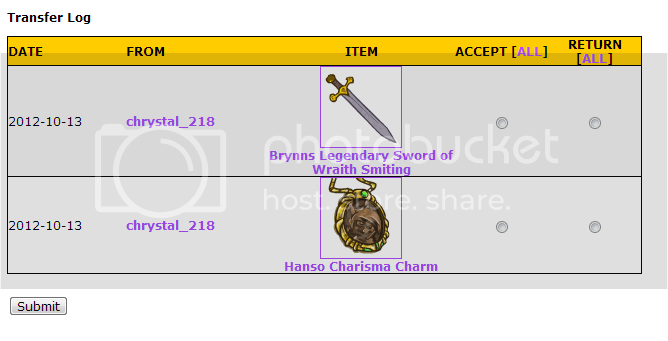 I honestly love finding codestones even though I rarely use them and just sell them but more for my funds you know. 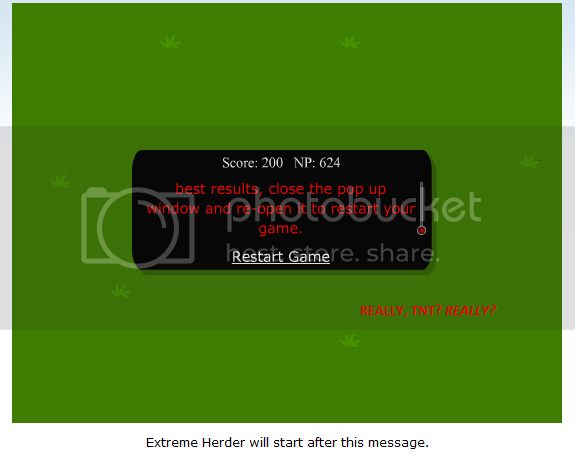 It net me about 3000NP anyways. But I'd be very ecstatic if I ever got a Chokato, I'm just sayin'. 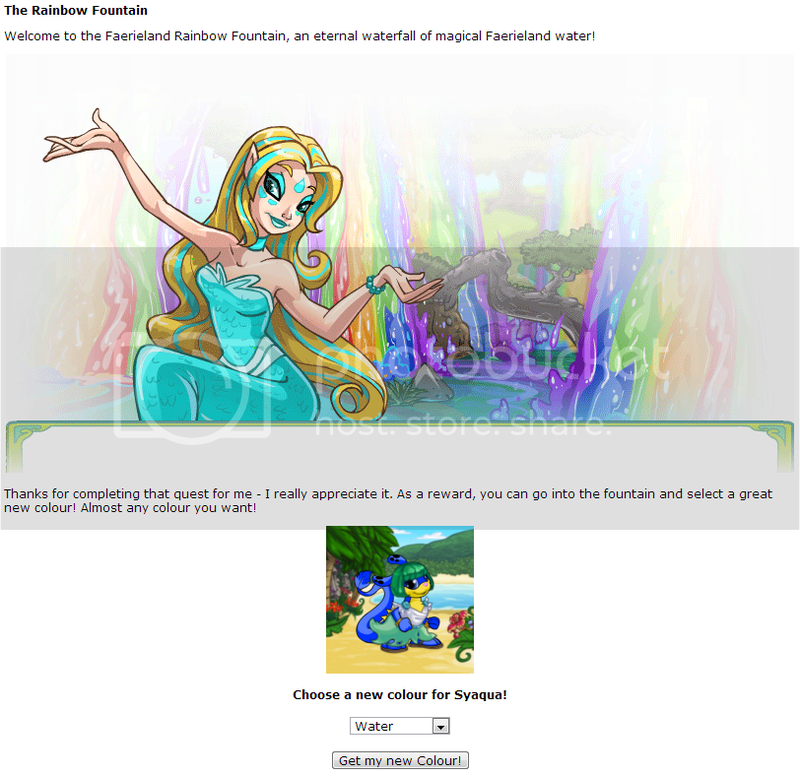 ...Which explains why the background is a funky blue here, haha. I had to highlight the text just to make it legible omg. Yay~! 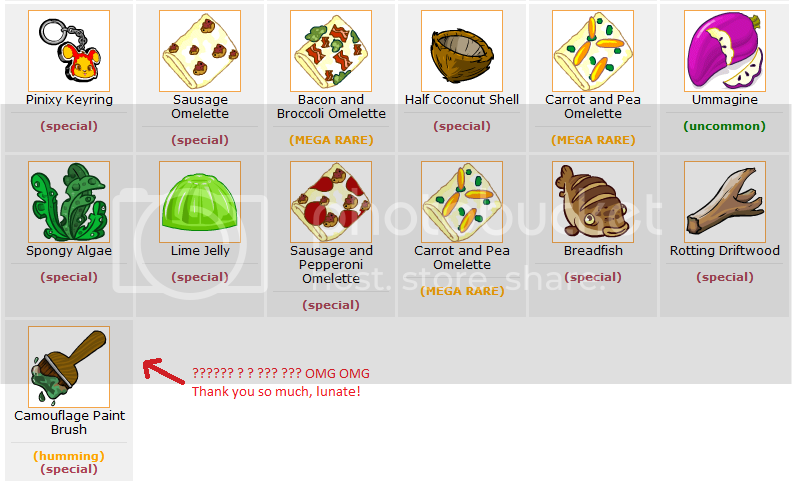 Food to sell while my Neopets continually eat jelly and omelettes haha. 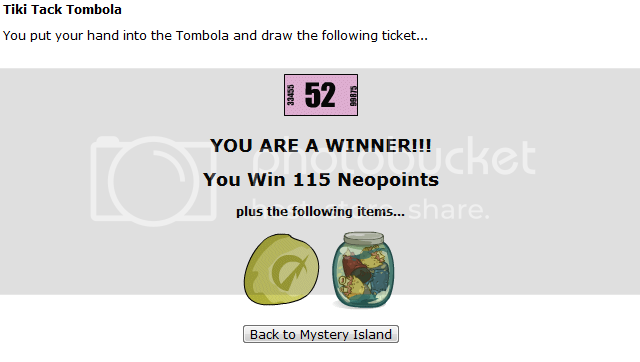 Wow, I feel like Mystery Island is really trying to tell me something. 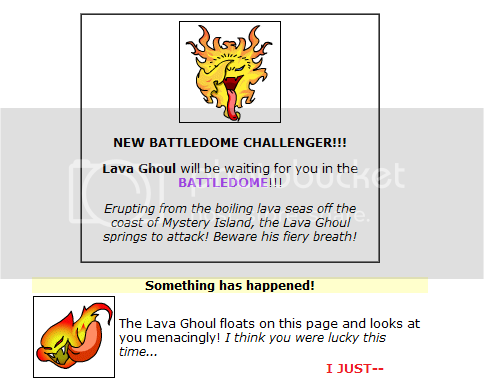 YESSS~!!! 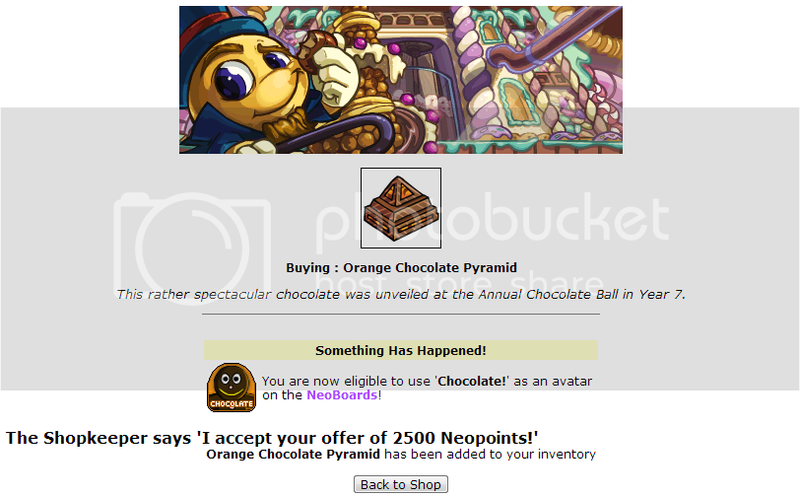 I almost sold it for NP but then I realized I'd never just go out and buy one. 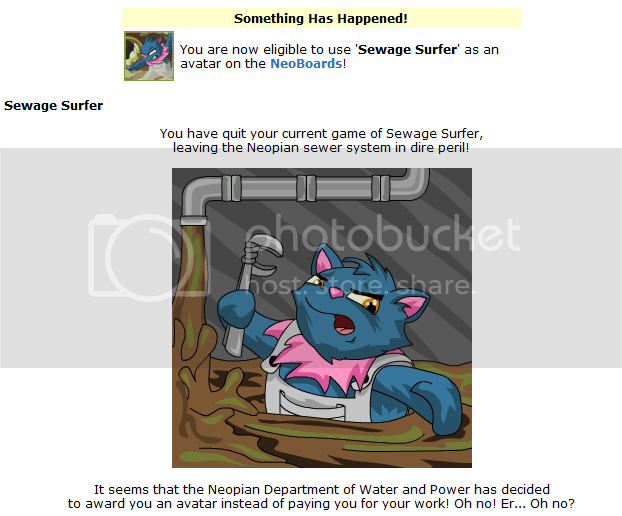 Then I got the avatar lol. AHHHHH, lunate donated this Paint Brush to me and I got to paint my Kougra Camouflage I WAS SO HAPPY OMG. 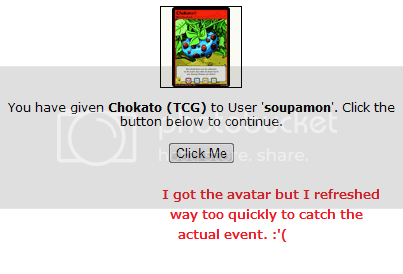 Well that would be nice IF I HAD AN ACARA. I feel like I'm being stoned with these things or something; I keep getting them thrown at me. ..."TRAIN YOUR PETS YOU DOOFUS WHY CAN YOU NOT TAKE A HINT!?!??!" Aww, what a cutie~! Sold it anyways lol. I will join your Yooyuball team next year is THAT WHAT YOU WANT HUH?!? STOP HARASSING MEEEEE. Someday I will get all the pieces. And then I will get the actual Lab Map for realsies. 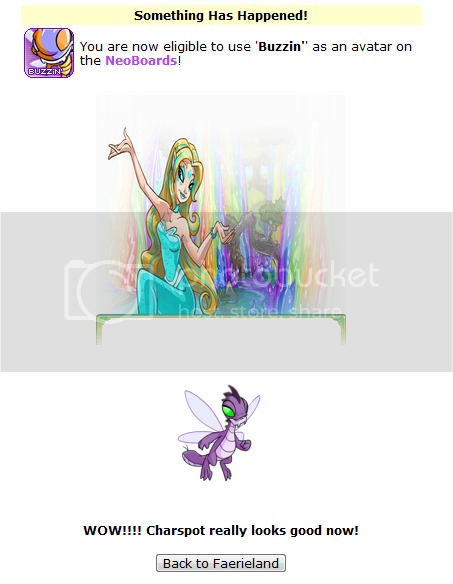 Just little amusing things I caught on the boards from time to time. 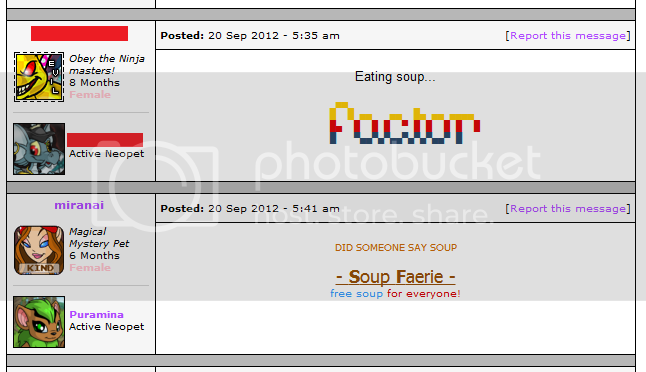 These boards were made by two completely different people on the KQ Board omg does this happen often. 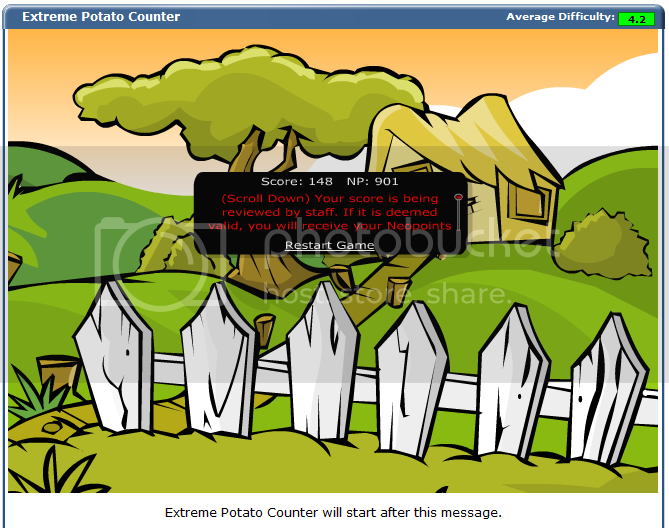 Invisible MSPP; Stop Lending 2012. I always laugh when I see this HOW DO YOU MISS EACH OTHER. Pretty sure this was a joke board but omg. This is probably the section that everyone is going to jump to and judge me for lol. 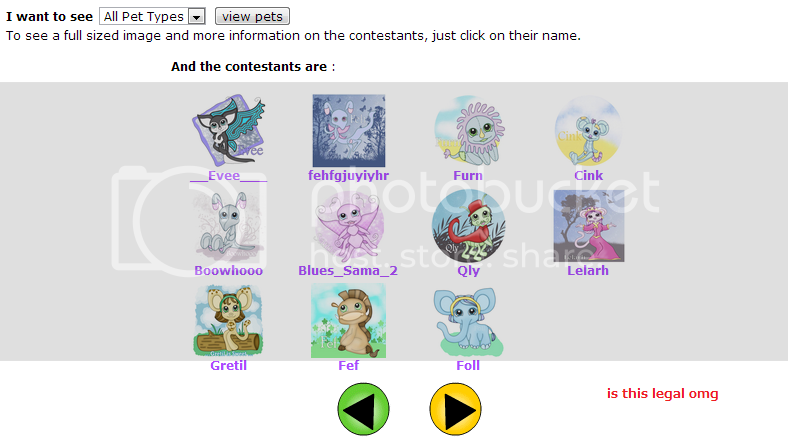 Ugh, I can already feel you guys really judging me ahhhhhhh... Well, I only screencap avatars every so often, so it's more or less just the ones that I get excited about getting or the ones that I had help with from special people. Sometimes I forget to write down credit for who helped me with what though, so I haphazardly give credit and fail to credit with these avatar helpers/lenders sob I'm sorry. Actually, he's kinda dumb, but idk who's my favorite villain anyways. Xandra maybe? Jazan's dad was pretty cray though too. Haha, what a weirdo. 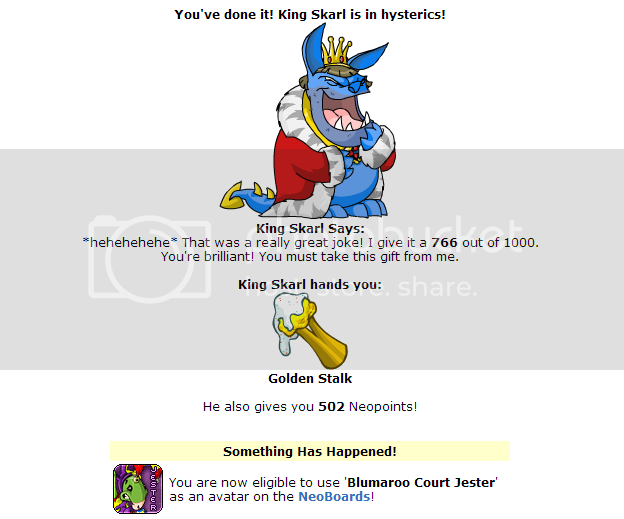 It was my birthday when I got this avatar. 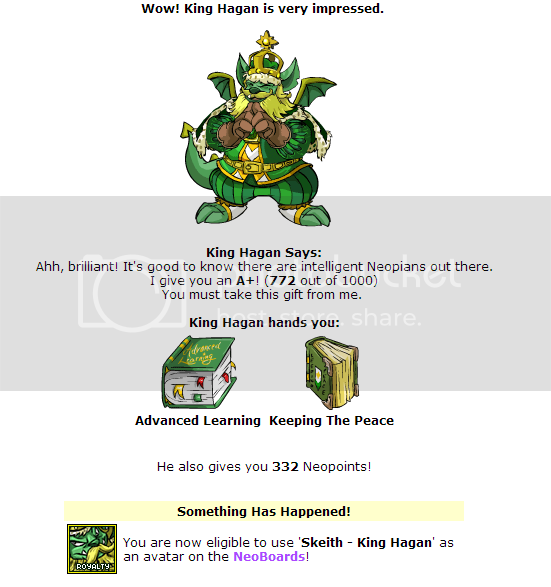 I actually really like King Hagan, he's cool. Ogrins are actually pretty cute. I borrowed Eric from Chrys, hehe. You know what was funny is that I somehow received this avatar for beating the Inflatable Balthazar (to autoheal)? Like BD glitched and it recognized that I won the fight against the Henchmen instead. I was like, "Okay, thanks. Wahaha, serves you right you nasty thing. I GOT THIS SCORE RIGHT BEFORE RESET DAY I WAS SO UPSET. But this is one of my favorite avatars, so I'm still okay with it. 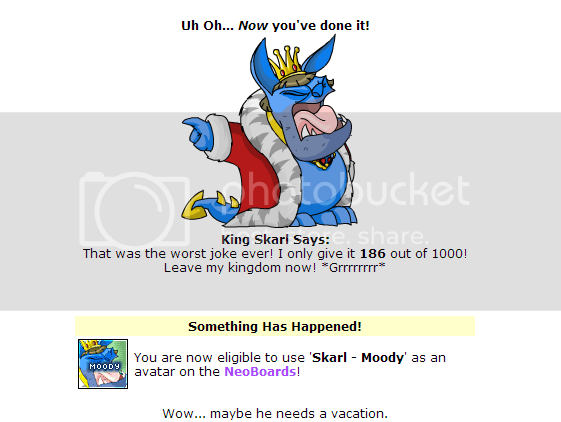 Yeah, I think he does wow grumpy. 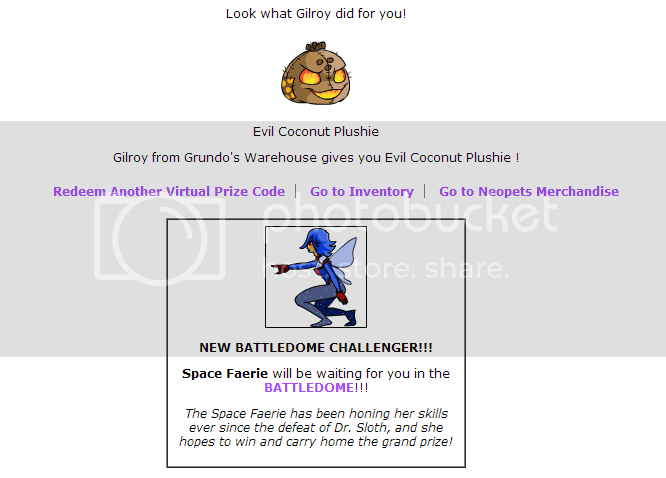 For the most part I was buying stock everyday but once I got halfway there I caved and bought/sold some Virtupets really quick. Haha, I found a Purple Buzz but I ended up painting it Plushie. Also I flipped a coin to decide its color; kinda sad it didn't land on Faerie. 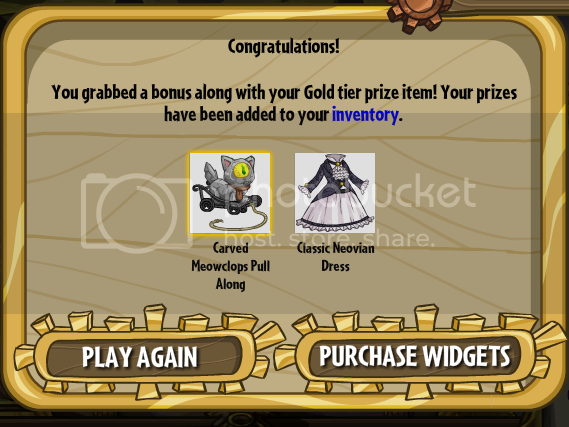 AHHHHH, I gained 4 levels from this; lucky game~ Never playing it again though lol. LITERALLY DOWN TO THE WIRE OH MY GOSH. 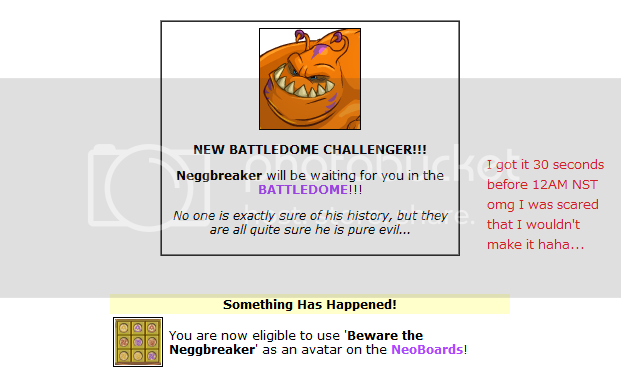 This was the first day the Negg puzzle was made into a daily and I thought the avatar was going to be retired again. Whew! 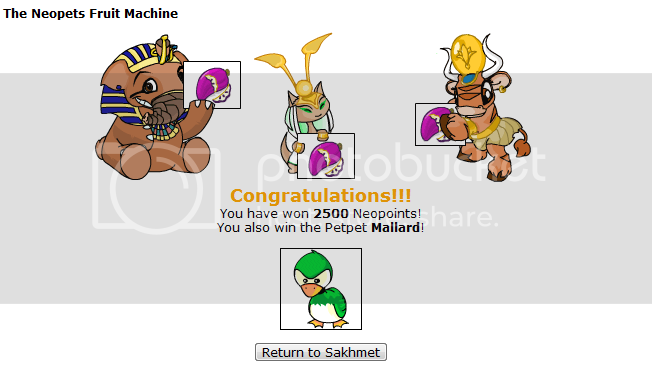 I adopted a Shoyru and beat the Inflatable Balthazar. It was the same Shoyru. 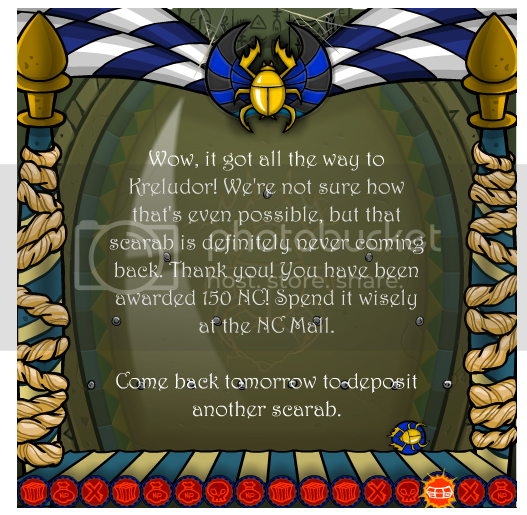 This was done by slowly putting every single new item I received into my SDB. And I made sure I didn't have any doubles either because wow am I persnickety. 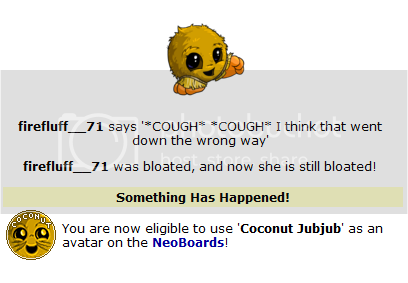 It's funny, because I thought I had this avatar for the longest time until I realized that I didn't. Seriously, they are so great like wow I never would have imagined being lent a Mootix dang. PSSH, I don't even play Bejeweled! But I've seen my mom do it so I had an idea of how to play haha. 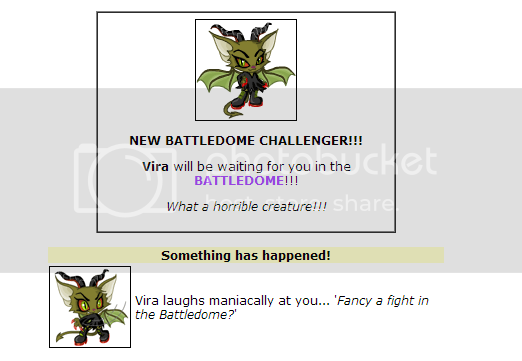 I don't think I was even aware of this avatar's existence on my old account lol. Also I finally learned how to play this game; three cheers for me. Pant Devil, sir, why are you even crying? You get a Rod of Supernova from the Advent Calendar every year! 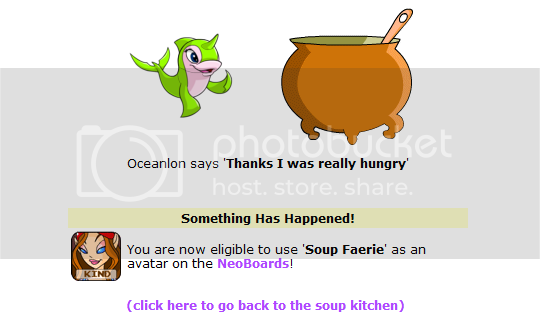 Believe it or not this took me a long time to get because it's hard to stay poor enough to feed them at the kitchen. 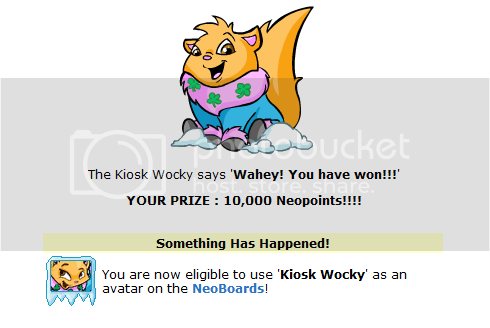 I seriously feel so proud when getting a random avatar woo, go me! 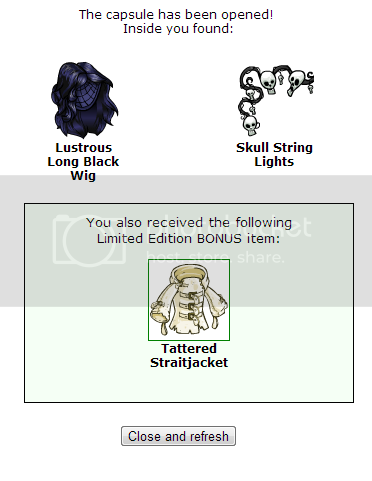 I aged it myself okay, I give myself props for actually not asking a lender for this. I always play as Ember. 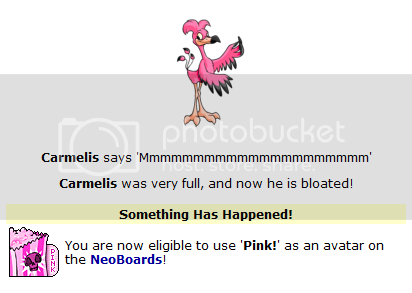 I find something really comical about this I mean I am here with my pink pet getting an avatar for feeding it a certain food yeah but I AM FEEDING THIS BIG PINK BIRD SOME POPCORN OMG I CAN JUST IMAGINE HIM PECKING AT IT ON THE GROUND IF YOU DON'T FIND THE IMAGERY FUNNY I'M SORRY BUT I CANNOT HELP YOU. And here we have an unconverted Wocky who LOOKS ADORABLE. Yeah, forever upset about converted Wockies. Wow, lenders are so nice. I was lent this for free. :') Don't pester this user though, please, it was at an AC board. This was really long and took me roughly three days to complete. 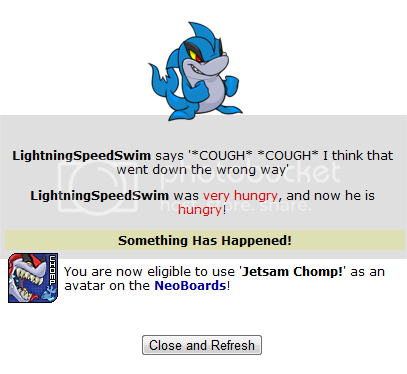 I ALSO LOVE THIS AVATAR TOO OMG. 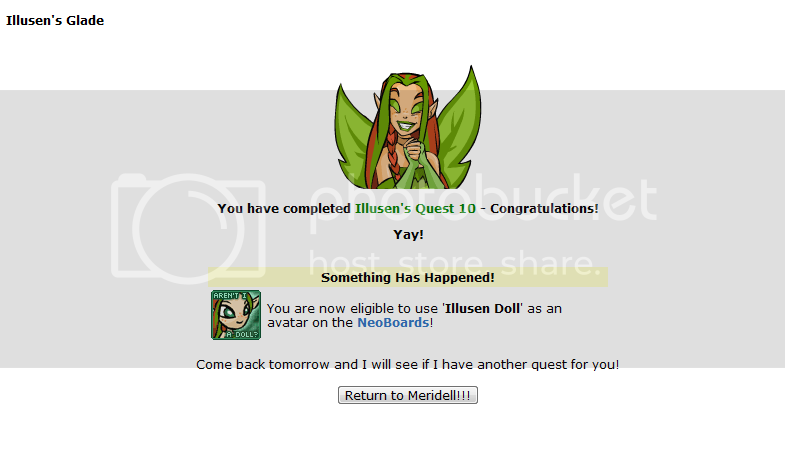 One of my most favorite avatars to use and there are so many font options and yeah I love Illusen. Hey, I did pretty well for guessing. Too bad I never played it again. Honestly this is a pretty sweet avatar, I just have no ideas for good-looking fonts. 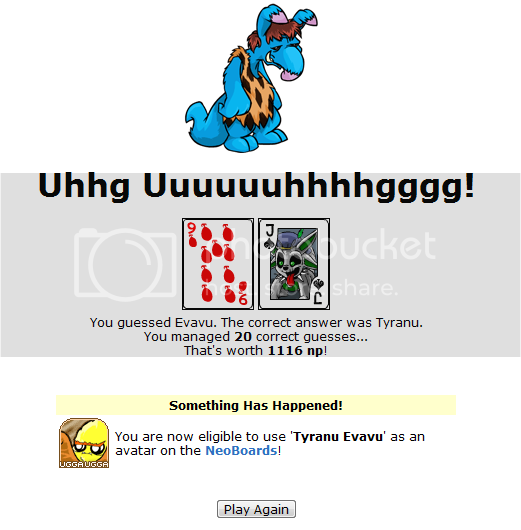 And then I wasted it on a BD Claw. Or a capsule idk. She's casting a curse. Get it. Haha. I'm lame so I bask in moments like this. 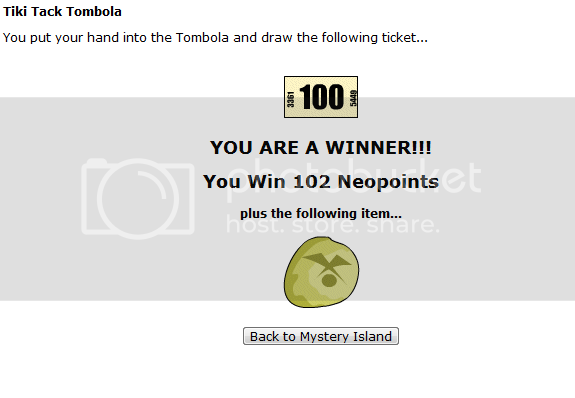 I just like winning stuff from Tombola I used to be so lucky with this game what happened. 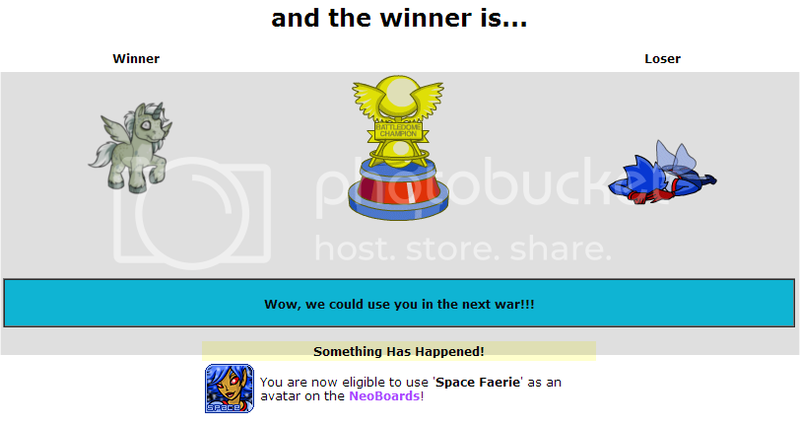 Man idk if this counts as a game or not but I won stuff okay lol. I HOPE IT STARTS AFTER THIS MESSAGE BECAUSE I'M MAD. 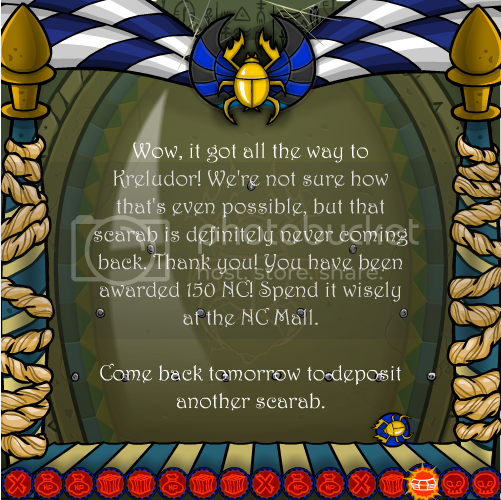 I'm not sure how that's possible either but hey free NC! Basically just screenies that don't quite fit into a rigid category. 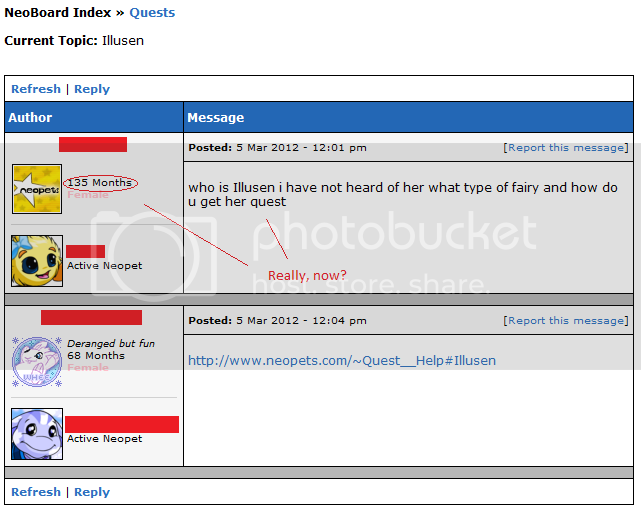 Mostly involves interacting with random Neopians and doing faerie quests. 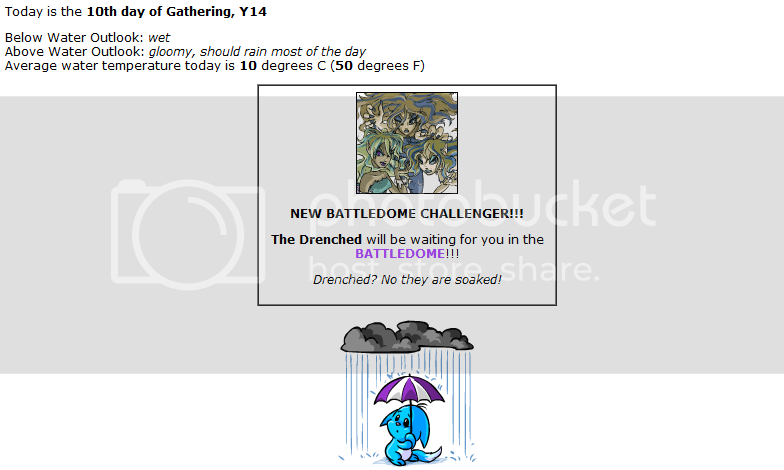 YES, GOOD, FINALLY. Actually, she's really cute?! Look at that pose wow, sassy. 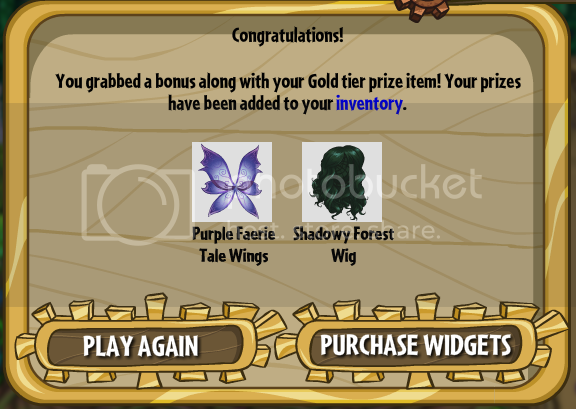 It was the cheapest quest I ever did for the Battle Faerie omg. 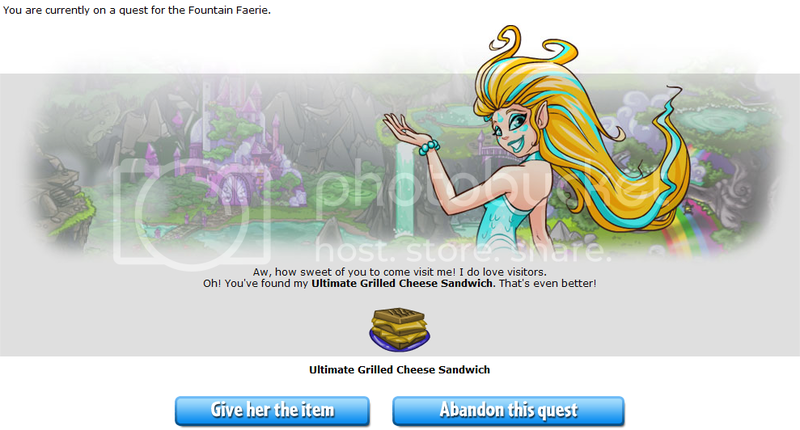 I swear I've gotten this exact quest like five times. Such a great theme wow, worth staying up for. There must be something in the atmosphere. The magical moment when Syaqua became water~ She was very adoriburu. Actually after I thought about it, I really wish it was either Akiyone or Puramina I mean seriously WHY THAT ONE. 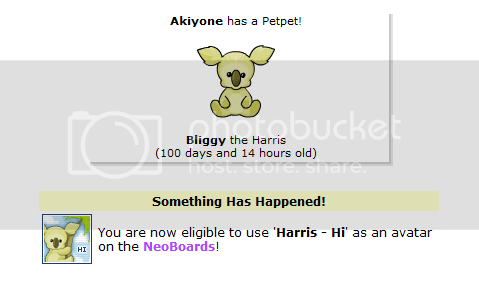 I was almost going to erase all the pet names but then I decided not to. I don't know why but I laughed really hard at this. Haha, I went to the boards and someone was like, "Is this the celebration? THANK YOU FOR YOUR APPROVAL I GUESS??? 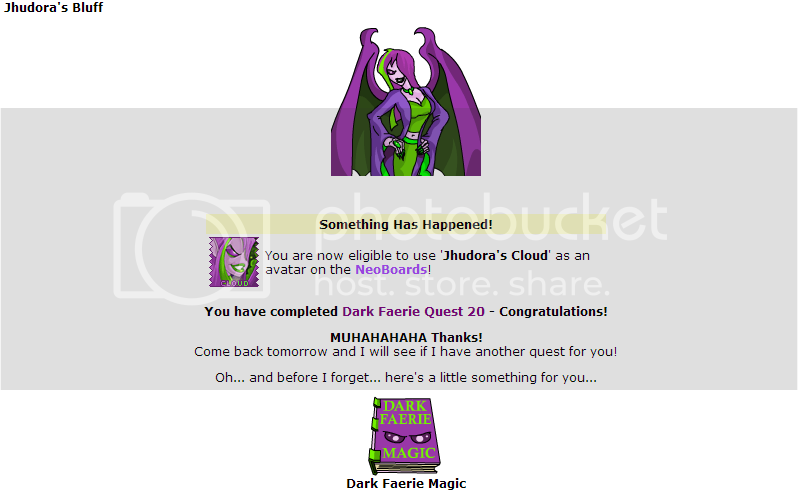 And now begins the tale of my FFQ~ Do you know how impossible it was for me to find this thing; I was looking for someone to trade with for over a week. You jerk you only open this fountain when people do you favors. HE INTERRUPTED MY BATTLE WITH THE INFLATABLE BALTHAZAR. 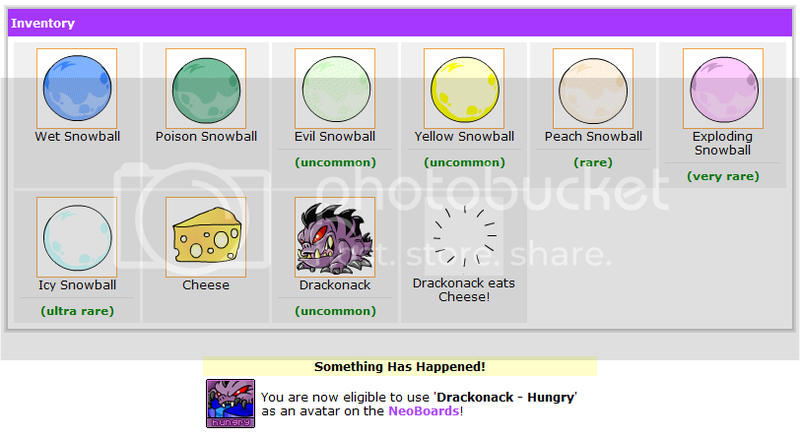 My friend wants a Draik; I WANNA GET HER ONE SO BADLY...! Guys, Nigel actually knows what he's talking about wow. And she never notices anyone I just. HE DID THIS LIKE FIVE MINUTES BEFORE MIDNIGHT I AM SO DONE. 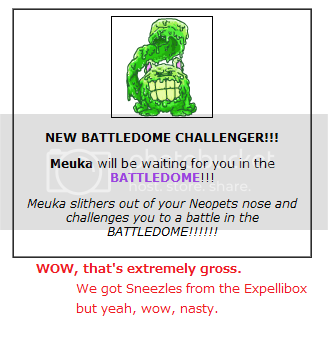 NEOPETS WHAT THE HECK ARE YOU DOING WHY DO YOU ADVERTISE YOURSELF AS A KIDS SITE WHEN YOU'VE GOT THIS NASTY DESCRIPTION STILL HERE OMG SLITHERING OUT OF ITS NOSE. Like nothing happened but I still got sent back a page anyways. Also I eventually remembered that this was from the Hannah plot and I was like "Whoa." 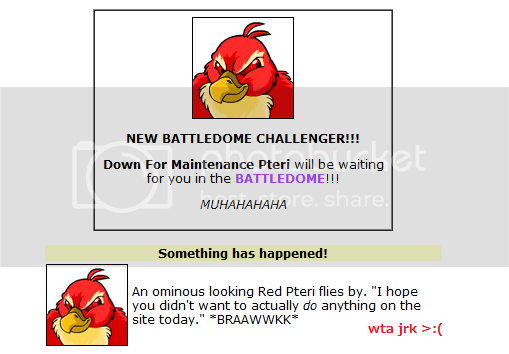 Wow, this Pteri just does not get it. I had already invested for the day, haha. Yes, I am, thank you!! YES I AM THANK YOU DO YOU NEED A HEARING AID?! I would be too YOU'RE ON FIRE. Just because you made one good call in your life doesn't mean you're a stock expert, Nigel. At least it didn't steal anything. I really hope you didn't scroll through all those screenies; that's a real pain not gonna lie because I mean just look at that scroll bar what a monster yikes. But if you did wow congrats I am so proud of you thanks for putting up with me when I was even getting tired of listening to myself; you deserve a gold star. 01.23.13 Added more screenies in! I'll try to keep it more up-to-date gomen. Link back to this screenie page! Click the box, then press ctrl+a then ctrl+c to copy the code! Screenies taken by me, miranai. Layout "skeleton" by Vibe.